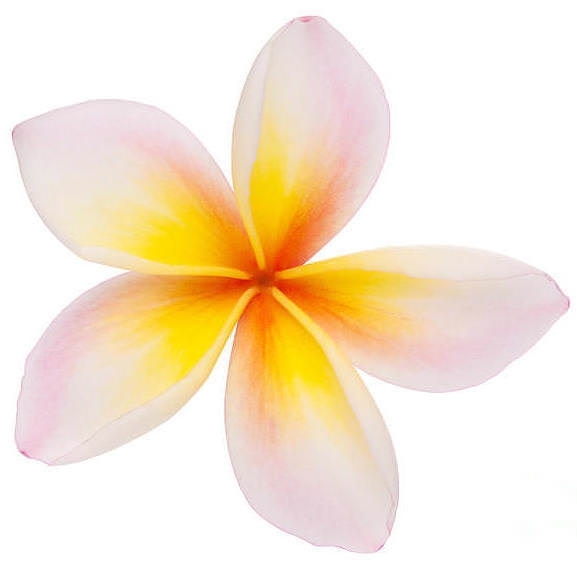 Our organically crafted Frangipani Hydrosol is distilled from the five-petaled, creamy white flowers of the Plumeria alba shrub, native to the Cental America and the Caribbean. These creamy white flowers spiral open to reveal delicate yellow-orange shading toward the spiral's center and emit a very powerful fragrance, particularly at night. Frangipani Hydrosol has a gentle, honey-sweet, creamy, gardenia-like aroma with subtle, very pleasant earthy undertones. Frangipani is highly regarded in Ayurveda due to the scent's rejuvenating qualities for the mind and body. it is believed to effects deep internal cleansing that refreshes the mind, body and soul. In folklore, the sultry Frangipani flowers covers a lot of mythological territory, it is often seen as a symbol of peace and tranquility, while in India, called the Tree of Life, it is associated with death and funerals, and in Malaysia it is the fragrance of the vengeful 'undead'. In the language of flowers for this Tahitian icon, a blossom worn behind the left ear conveys happiness in love, while one behind the right ear denotes amorous receptivity. Frangipani is most valued not only for its rich, sultry and sweet fragrance, but also its deep cleaning properties that make it extremely useful for perfumes, skin creams, soap and lotions. It is added to shampoos, hair packs, conditioners and gels as an aromatic ingredient. One can use Frangipani Hydrosol as a room fragrance - spray all over the room for an invigorating fragrance. Frangipani Hydrosol is also valued for its anti-inflammatory and antioxidant properties. It can help relieve inflammation, headache, back pain and tinnitus. It is known for its moisturizing effects, as it soothes dry and cracked skin, helping keep skin soft. Frangipani Hydrosol relaxes nerves and muscles, and has aphrodisiac, astringent and purifying properties.